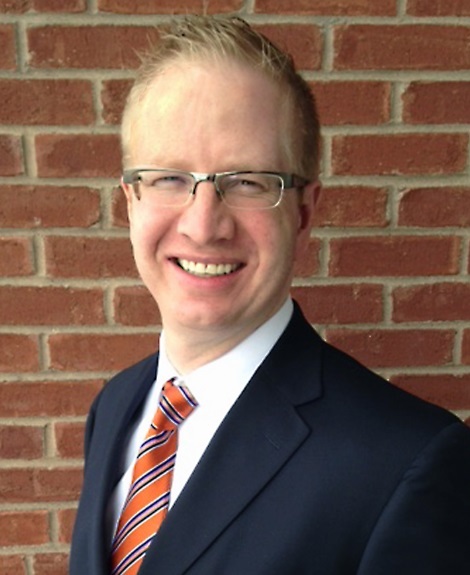 Kurt Manwaring: Welcome! Before we begin, could you tell us a little bit about yourselves and how you first got involved with the Joseph Smith Papers Project? Matt Grow: I’m an American religious historian by training. After I earned a PhD at the University of Notre Dame, I taught at the University of Southern Indiana for a few years. In 2010, I had the opportunity to join the Church History Department of the LDS Church to work on the Joseph Smith Papers and other historical projects. Besides contributing to the Church’s historical projects (Joseph Smith Papers, history.lds.org, the newly announced four-volume history (“Saints“), I am working on a biography of Brigham Young that was begun by historian Ron Walker, who died last year. As my work on that project was winding up in the fall of 2006, I started working as an editor with the Joseph Smith Papers Project, which only the year before had moved from BYU up to Church headquarters and was looking for editorial support at headquarters. At first, I worked for the project while still remaining in the Curriculum Department but eventually I moved to the Church History Department. I was super lucky to be in the right place at the right time, and I feel deeply indebted to those who made my working for the project possible. Kurt Manwaring: What was the Council of Fifty and why is it important — both for Mormons and a general audience? Eric Smith: Joseph Smith formed the Council of Fifty in March 1844. It met frequently until a few weeks before his death in June of that year. Brigham Young revived the council in early 1845, and the last council meeting in Nauvoo was held in January 1846, just a short time before the first wagons rolled out on the westward journey. The council, composed of about fifty men (hence the name), was essentially designed as a political body that would protect the Church and allow it to flourish. Many of the men had Church leadership positions, but the council was not an ecclesiastical body and did not replace or do the work of ecclesiastical bodies such as the priesthood quorums. At the practical level, the council had probably three main accomplishments: it helped manage Joseph Smith’s campaign for U.S. president; it provided a type of government in Nauvoo after the Nauvoo city charter was revoked by the Illinois legislature in early 1845; and it played a major role in exploring possible settlement sites and in planning the Church’s migration to the West. Matt and I cowrote a short article summarizing the history and importance of the Council of Fifty for the Church’s website: https://history.lds.org/article/council-of-fifty-minutes-joseph-smith-papers?lang=eng. Kurt Manwaring: Have you come across any common misperceptions about the Council of Fifty, either personally or in your professional work? Matt Grow: Since the moment in spring 1844 when rumors started to circulate that Joseph Smith had created the Council of Fifty, misperceptions have abounded. Many of these misperceptions revolved around the purpose of the council. Joseph Smith and other Latter-day Saint leaders talked about establishing the kingdom of God and creating a theocracy. The other members of the Council of Fifty received Joseph Smith, using biblical language, as prophet, priest, and king. However, inaccurate rumors circulated that Joseph had crowned himself king of the world. Because the minutes of the meetings of the Council of Fifty were not available until published in the Joseph Smith Papers in 2016, the mystique of the Council of Fifty continued until recently. The minutes became a sort of holy grail of early Mormon records. What would they reveal about Joseph Smith and the Mormons’ ambitions and theocratic plans? As is generally the case, the mystique and the rumors were overblown. Fortunately, of course, anyone can now read the minutes of the Council of Fifty themselves. Kurt Manwaring: How did “The Council of Fifty” compilation begin? Were you approached by BYU’s Religious Studies Center or did you put out feelers for a publisher with interest? Eric Smith: To those who follow Mormon history closely, the Council of Fifty has been on their radar for a long time. But as we were doing promotional work on the published minutes in the fall of 2016, we learned that the average Church member knew little, if anything, about the council and its minutes. Also, the Joseph Smith Papers volume is around 800 pages, which can be quite intimidating even to the most ambitious readers. We wanted to publish something on the council that would be highly accessible and that would provide an initial scholarly reaction to the published minutes. Matt had the idea of doing an edited collection of relatively short essays. We were fortunate that so many excellent scholars were willing to contribute and that the Religious Studies Center was interested in our proposal. Kurt Manwaring: Benjamin Park, a contributor to “The Council of Fifty,” said all essays were limited to 3,000 words. Would you say something about the decision to limit the presentation of complex subject matter to a rather concise 3,000 words? Was there a purposeful intent to make the volume accessible to general readers? Matt Grow: Yes, we hoped to make the volume accessible to general readers by limiting the length of each chapter to about 3,000 words (though some weigh in a little longer than that). Most authors will agree that writing concisely is often more difficult than writing on the same subject at a greater length. We feel that the payoff is more focused essays that have the potential to engage a broader readership. Kurt Manwaring: The minutes have an interesting spectrum of awareness. Some members of the Church have no idea what the minutes are and others think the minutes are even more remarkable than recent pictures of one of Joseph Smith’s seer stones. Would you talk about the mysterious reputation the minutes had before their release — and perhaps even now more than a year after they have been published? Eric Smith: Those who are a bit older will remember about thirty years ago when journalist Geraldo Rivera opened, on live television, a secret vault owned by crime lord Al Capone. The event was much publicized and anticipated. I remember seeing the TV advertisements leading up to the event and wondering if there would be old skeletons or piles of jewels cached away. Well, when the vault was opened it contained only debris. The situation with the minutes is perhaps a bit analogous in terms of grand expectations not being met, except that the minutes truly are invaluable to understanding an important period in Mormon history. In the case of the minutes, since they were not available for research and since it was known that council members themselves had held their discussions in confidence, people were naturally left to speculate about what was in the minutes. At the same time, from other records (such as journals of council members), careful scholars had been able to learn a great deal about the council’s activities and purposes even without the minutes and in general had more temperate expectations of what the minutes would contain. When I was finishing up “Rough Stone Rolling,” my associate Jed Woodworth once asked if I could rest easy with my accounting of Joseph Smith’s life without having examined the Council of Fifty minutes. At the time, I brushed aside his concern, feeling we knew enough about Nauvoo already. Now [after reading the minutes] I am not so sure. The minutes do shed light on questions about the last days of Nauvoo that could not be answered before. None of the topics the council addressed are completely new. They all grew out of ongoing issues in the Church’s history: protecting the Church from mobs, dealing with Indians, preparing for westward migration, establishing the kingdom of God in the last days. Kurt Manwaring: Is there a non-Mormon equivalent to the minutes that has become available in the past decade — a manuscript of obvious importance with a history of mystery and inaccessibility? Matt Grow & Eric Smith: Great question and perhaps one of your readers will have a better response! A few years ago, Queen Victoria’s private diaries were made available online for free. This wasn’t quite the same as with the Council of Fifty minutes, as excerpts had previously been available from her diaries. Another not quite analogous situation is when historians broke the cipher to a Thomas Jefferson letter. Kurt Manwaring: When popular works are released, readers will often dive straightway into the more notable parts. A reader of fiction might turn to the last page to see how the book ends or a political reader might turn directly to pages with quotations referenced in national news stories. What are the risks of reading selections from the minutes without an understanding of their context? 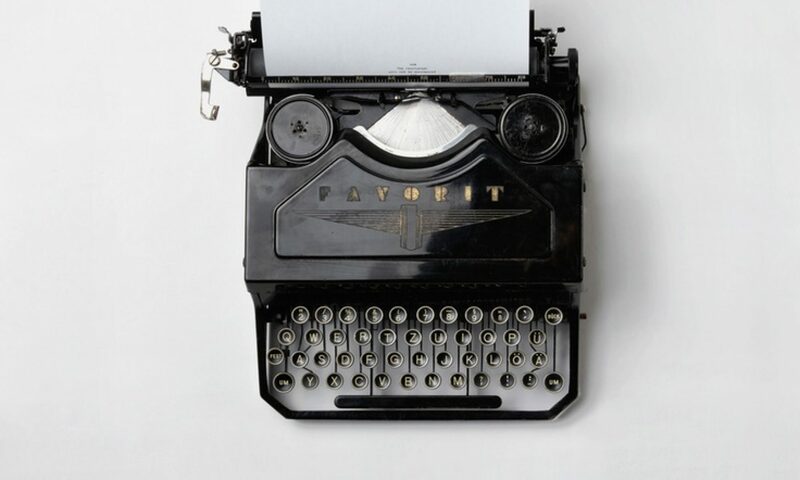 Eric Smith: I suppose it is the same with the minutes as it is with any other type of writing: the entire piece provides the context needed to best interpret the individual lines and paragraphs of the piece. In the case of the council minutes as published by the Joseph Smith Papers, I think the greatest risk to the person who chooses only to read excerpts is that she or he will miss out on a great deal of fascinating historical detail that is found in the minutes and the editorial apparatus! Besides opening this window into Mormon history of the period, the minutes also drop us right into a number of important themes and events in American history generally — relations between whites and Indians, the annexation of Texas, the exploration of and migration to the West, the predicament of unpopular minority groups, vigilante justice. I know this word is terribly overused in our time, but I really had “fun” reading and editing the minutes. Kurt Manwaring: Many religious believers — Mormon and otherwise — can sometimes see history as a threat to their faith. What are your thoughts on how historical findings correspond with religious beliefs, for better or worse? Matt Grow: Whether historical findings will fortify or undermine faith often depends on the assumptions that we bring to the study of history. My own experience with Latter-day Saint history — with diving deeply into the records of the Mormon past — has been faith affirming. But I understand that others have found aspects of LDS history to be faith shattering. We should not be surprised by changes or developments in the Church. We need to confront the past on its own terms, not just on our terms. I came to understand this while writing a biography of Thomas L. Kane. 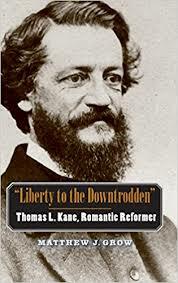 A frail Philadelphian, Kane defended all sorts of minorities in the 1800s through a long career as a social reformer. He came from a prominent and wealthy family and was an antislavery activist when speaking out against slavery was extremely unpopular. He risked his reputation and personal safety in defending slaves, including participating in the Underground Railroad. His own father, a federal judge, sentenced him to prison for disobeying the Fugitive Slave Law of 1850, which required Kane and other northerners to help capture runaway slaves and return them to the South. And yet, by our standards, Kane was deeply racist. Like most other white antislavery activists, he hated the thought of interracial marriage and believed that black people were not as smart or civilized as white people. I reject Kane’s racial views, but I know that he did more for racial justice than I will ever do. It would be deeply unfair for me to judge Thomas Kane for holding views that, in his day, were as common as the air he breathed. The same holds true for people in the Mormon past. We must see where they fell short, but we should judge them charitably. Their culture is different from our own; they had blind spots that they did not see, even though we wish that they had. Our own culture will likely be judged as having deep blind spots by our own descendants. 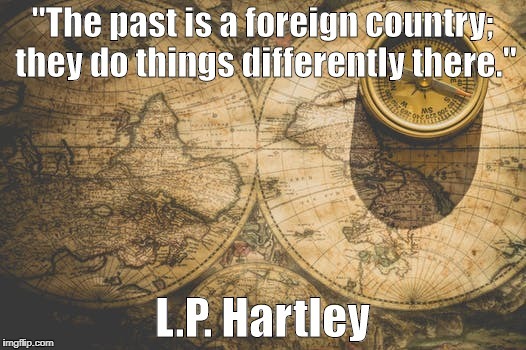 A British novelist once wrote, “The past is a foreign county; they do things differently there.” We need to learn the customs of the past and proceed patiently and humbly. American tourists have been criticized since nearly the beginning of the United States for acting arrogantly when traveling abroad. The “ugly American” tourist currently conjures up images of individuals refusing to learn even the rudiments of a foreign language while rudely demanding in English to know the way to the nearest McDonald’s. An “ugly” historical traveler judges the past solely based on our own standards; is impatient with historical actors without trying to understand their own circumstances and motivations; and refuses to learn enough to make sense of that history. Reading about Latter-day Saint history on the Internet — especially controversial topics — can be a depressing experience. Some Internet sites that discuss Mormon history are full of hatred and bitterness towards the Church. Everything is painted in the worst possible light. The actions of Church leaders and members are assumed to come from the worst possible motivations. And everyone on these sites seems to believe that he or she is an expert in Mormon history, even when much of what they write is factually wrong. In recent years, the Church has made tremendous efforts to make available good primary sources (such as the Joseph Smith Papers) and secondary sources (such as the Gospel Topics essays) on its history. The Church’s transparency and making available all of these sources declares that there’s nothing to be afraid of in our history. The Latter-day Saint story is one of faith and strength. But there are also topics that provoke controversy, and it is best that we learn enough about these topics to understand them. As we study religious history, we should expect to see the hand of God. And we should also expect imperfections — in the institutional Church, in its leaders, in its members, and in ourselves. Kurt Manwaring: If you are anything like other historians I know, you develop a personal connection with your research. Are there any characteristics of Joseph Smith or stories from his life that have taken on an outsized importance for you personally? 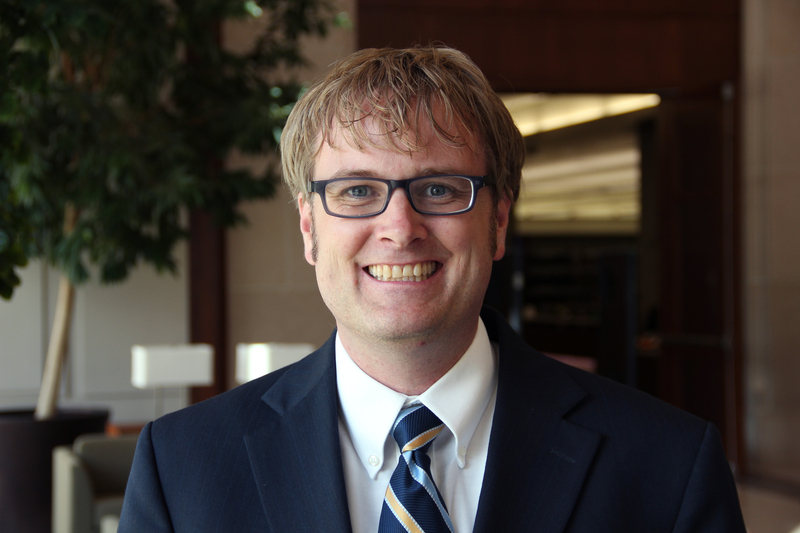 Eric Smith: One of the reasons I love working with the Joseph Smith Papers Project is that I find that familiar stories from Church history are often even more interesting and testimony affirming when I study them in greater detail. The example that I always like to talk about comes from fairly early in Joseph Smith’s prophetic career. Many members of the Church are aware that Joseph Smith was tarred and feathered late one night by an angry mob and then in an act of extraordinary courage preached at a Sabbath meeting the next day. The tarring and feathering occurred in Hiram, Ohio, late in the evening of March 24, 1832. In studying the larger context for this event, I have learned many additional details that have helped me even better appreciate the faith and sacrifices of Joseph and Emma Smith. Only three weeks before this violent and dangerous encounter, Joseph was commanded by revelation (Doctrine and Covenants 78) to travel to Missouri, 900 miles away, to counsel with Church leaders there. Were you or I to be tarred and feathered, we might feel entitled to significant recovery time before leaving on the assigned journey. Instead, Joseph proceeded without delay, leaving for Missouri on April 1, only a week after the violence. Additional details make the story more remarkable as well as heart breaking. By March 1832, Emma Smith had borne three children, all of whom had died within a short time of their births. In April 1831, Joseph and Emma had adopted newborn twins named Joseph and Julia from a man named John Murdock, whose wife had died in childbirth. At the time of the tarring and feathering, little Joseph, now about eleven months old, was ill, and he died a few days later, on March 29. The Prophet Joseph believed the boy’s condition was made worse by exposure to the cold night air when the Prophet was dragged from his home by the mob. Joseph and Emma were still dealing with the fresh pain of this child’s death when Joseph left for Missouri. Given these circumstances, it was not easy for Emma to be left alone with her one young child (Julia) when Joseph traveled to Missouri. Joseph feared for his family’s safety and counseled Emma to move to Kirtland while he was gone. She did so but had a hard time finding somewhere to stay. His later history reports that Emma was “very disconsolate” when Joseph returned. Church members today sometimes overlook the sacrifices Emma made in living her faith and supporting her husband. Joseph’s return journey to Ohio took longer than expected because Newel K. Whitney, with whom Joseph was traveling, was injured in a stagecoach accident. Joseph and Bishop Whitney stopped in Greenville, Indiana, waiting for Whitney’s leg to heal. While there, Joseph received news that Mary Smith, the young daughter of Hyrum and Jerusha Smith (Joseph’s brother and sister-in-law), had died. The letter that Joseph wrote Emma from Greenville on June 6, 1832, is, in my view, one of the most interesting and moving of all of Joseph Smith’s papers. To me, the letter offers a sort of conclusion to the events of late March 1832 in that it shows he was an ordinary person who felt pain and sadness while also revealing the type of character a person would need to have to suffer repeated persecution and adversity and yet move forward with such incredible fortitude. His trust in God and his close relationship with God were the source of his extraordinary courage and dedication. The letter also gives us a glimpse of what Joseph was like as a husband and father, a son and brother. “I am happy to find that you are still in the faith of Christ and at Father Smiths [in Kirtland],” he wrote Emma. Kurt Manwaring: If you awoke in the morning to find the Joseph Smith Papers Project had received a $20 million grant earmarked for new research and you were put in charge, how would you direct the allocation of the funds and why? Matt Grow: In terms of the Joseph Smith Papers, we are fortunate to have two tremendous benefactors: the Larry and Gail Miller Family Foundation and the LDS Church. So, the short answer is that the Joseph Smith Papers wouldn’t need such a grant. But there is so much that could be done elsewhere in Mormon history. Investing in understanding Latter-day Saint global history would yield very significant results. Readers interested in knowing what Eric Smith wishes people asked him about the Council of Fifty can see his response in an addendum to this interview.